November 15th marked in the end of the 2018 ArtBuilt Studio in the Park residency at Flushing Meadows Corona Park! For all of you who have participated, helped, witnessed, enjoyed this years community art project HamacaS by Liene Bosquê, we want to thank you! It was such a pleasure to see this project – the collective weaving and creation of a series of handmade hammocks – unfold with truly inter-generational participation. And we want to thank Liene for creating a space for genuine belonging; a place that invited everyone to feel home; a context for sharing memories and heritage; and an opportunity for visitors to learn new skills and create new experiences! 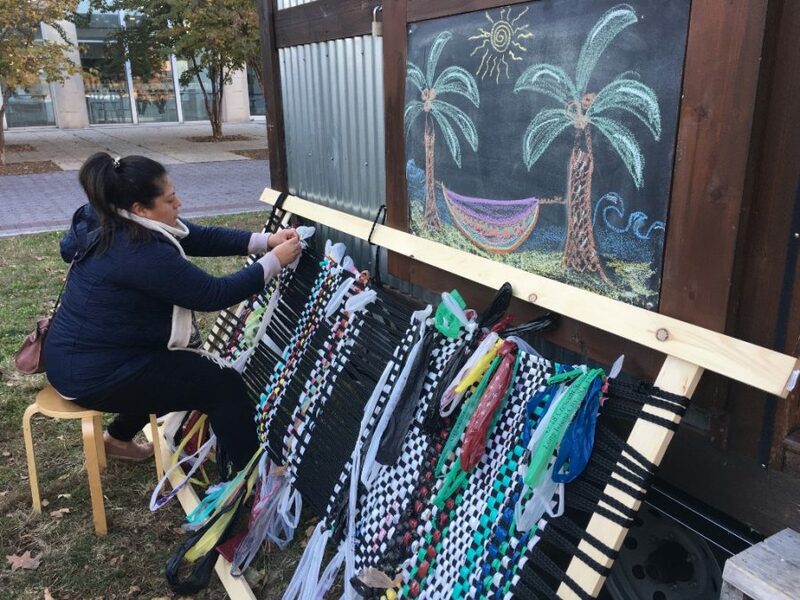 The project drew such a range of participants, from those that had generations of hammock weaving skills to share, to community groups, families, and tourists, bringing smiles to so many faces that experienced laying in a hammock for the first time. We are thrilled to share that there is one last opportunity to experience and participate in this project this Saturday, Nov. 17th from 11am – 3pm at ¡CORÓNATE!, the monthly cultural festival held at Corona Plaza! For any of you that missed us over the past 6 weeks (…and for those of you that can’t get enough of this project), join us for an opportunity to learn basic weaving techniques in the drop-in work shop and enjoy the opportunity to lay in one of the hammock created during this residency! Click here for more info about ¡CORÓNATE! 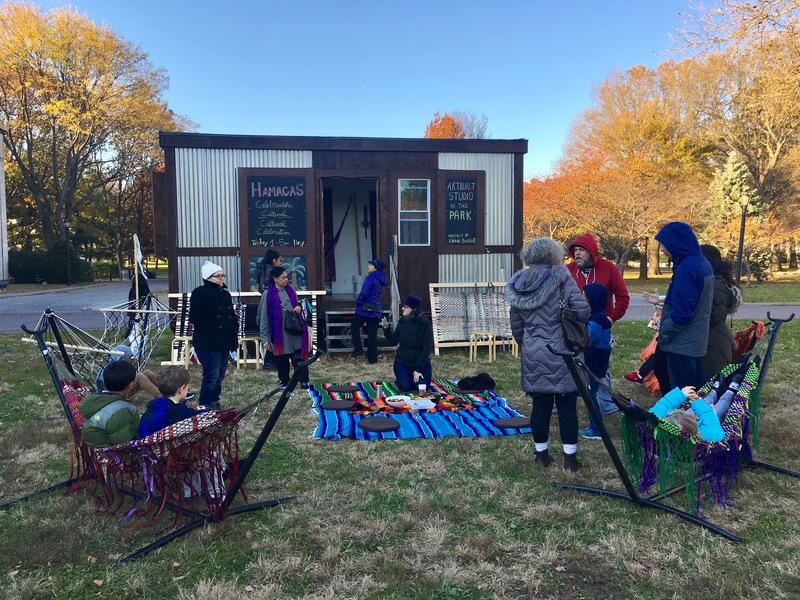 ArtBuilt Studio in the Park is a six-week residency program that provides an artist or artist collective use of a 150-square-foot mobile studio space in a public park for a community-engaged art project. Operating out of Flushing Meadows Corona Park since its inception in 2015, ArtBuilt Studio in the Park is expanding to all five boroughs of New York City in 2018 and 2019 with the support of the Our Town grant from the National Endowment for the Arts (NEA).